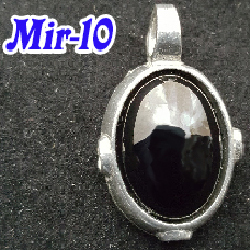 The Magic Mirror is a pendant made of black obsidian lens with a metallic plate on its flat side. First designed by the Maya it was used as a tool for raising conscientiousness and as an energetic shield. IT IS ONE OF THE MOST EFFECTIVE SHIELD AGAINST SPELL CASTING.